Mick Schumacher struggled to put into words how much his Formula 3 world championship victory meant to him on Saturday, but eventually admitted that following in his father Michael's footsteps in winning the F3 title meant that he was "living the dream". 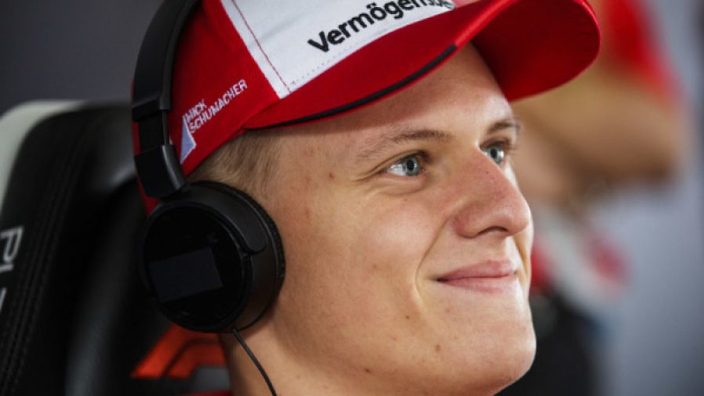 Schumacher went into the weekend's racing at Hockenheim knowing the championship was within reach due to the 49-point lead he held over his nearest rival Dan Ticktum. After disappointing in race one, he rallied in the next to finish second, which was enough to seal the title. Initially, Schumacher couldn't convey his emotions in the aftermath of the victory, but composed himself to reserve praise for his team and express delight at realising a dream. "I feel really grateful for what I'm able to live in this moment, to live this dream. We do what we love, so to also perform well in it is the best feeling you can get. "I have the team behind me, and people I can go to for relaxing. "This was key for me coping with the attention that I have, and to focus on racing and what I love doing, which is being on track and turning quick lap times. The team gave me so much support all year long, even in the lowest moments." It wasn't completely routine for Schumacher on the day, as track temperatures soared, resulting in a couple of mistakes in the early stages of the action. Although delighted with the championship win and the second place in the race, he regrets the errors that were made. "I had quite a lot of tyre pick-up, probably due to the temperatures," Schumacher continued. "I went a bit too much over the kerb at Turn 1 [on lap seven], touched the grass and that put the car into a slide - it snapped hard, so I got a shoulder problem after that. "I never really got the tyres cleaned up until mid-race, but once I got into the rhythm I was able to get constantly the lap times. "So I'm happy about that, but the mistakes I did I'm quite unhappy about."